Signs To Note When Your Car Transmission is about to go bad - AutoReportNG "AutoReportNG-The No 1 Car Blog In Nigeria That You Can Trust - AutoReportNG"
DIY car diagnosis may seem like an impossible task, but it would make more sense to look at it in terms of your own body. If your stomach, for instance, begins to hurt without warning, you will most probably start thinking of the last thing you ate in order to figure out why you’re having the pain. A similar type of thinking goes into diagnosing cars. The moment you start noticing something out of the ordinary, it’s time to start considering the problem and finding a way to fix it. Mechanical auto problems, as opposed to electrical auto problems, are usually coupled with distinct sounds and sensations that are key indicators that something isn’t functioning the way it was designed to. For transmissions, it takes a lot of use over the years, and after a while, they’re bound to start having some problems. Transmission repairs can be expensive, so it’s worthwhile to pay attention to anything that seems unusual. If you think you may be having some car trouble or if you’re just looking to learn more about potential transmission problems, check out these 10 signs of transmission trouble and stay one step ahead of your car. For those who may not know, there are three types of transmission; the manual, automatic and triptronic which combines manual and automatic but works more as automatic since they don’t use physical clutches. But the prominent first two will be the concentration of this discourse. 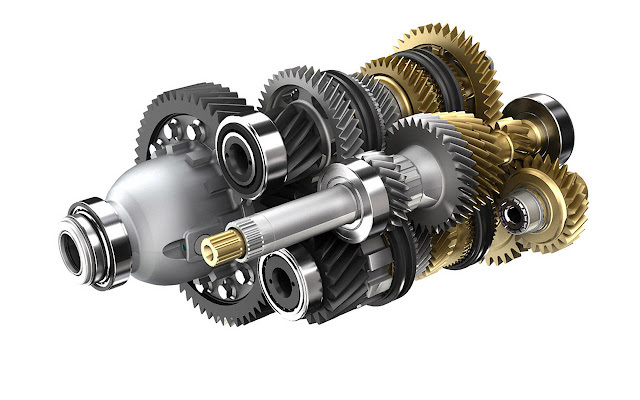 Transmissions are designed to go into the correct gear every time they are engaged, so when they hesitate or refuse to go, it’s a sure sign there’s something wrong. With manual transmission problems, you may notice after shifting into a gear that the car’s engine will rev up, but the car won’t be moving as quickly as the engine is running. In this case, a worn-out clutch or more serious transmission problem may be occurring. Automatic transmissions have the same lack-of-response problem, but will usually manifest the issue while engaging the “Park” or “Drive” selection. The car should shift quickly into either of these modes, but if your transmission hesitates to go into either one, then it’s likely there’s an issue with the transmission. It’s difficult to nail down exactly how your car may sound if there’s transmission trouble, but one thing’s pretty certain, you’ll probably get a that-doesn’t-sound-right feeling when you hear it. Every car is built differently, so the sounds they produce can vary greatly, but if you have an automatic transmission, there’s a good chance you may hear a whining, humming or even a slight buzzing sound. With manual transmissions, the sounds will usually come across as a bit more abrupt and mechanical sounding. If you shift gears and hear a clunking sound, then you definitely need to have it checked out by a professional. But a clunking sound from underneath your vehicle may not always point to a transmission problem. Your constant velocity joints (CV joints), or even your differential may be the culprit. The sounds you hear may happen from time to time at first, but if you neglect the noises, they’ll occur more frequently as time goes on. Depending on whether you have a manual or automatic transmission, your car may respond differently when your transmission isn’t working correctly. As noted in a previous section, with a manual transmission, a common sign of trouble is a grinding sound or feeling when you shift into a new gear. If you fully engage the clutch, shift and then hear a grinding sound, you may have a worn clutch or you may just need to have it adjusted. Or perhaps one or more of your transmission’s gear synchronizers, or synchros, is worn out or damaged. Grinding gears can be caused by a number of different factors. For automatic transmissions problems, you’ll most likely feel the car shimmy into each gear rather than the typical almost unnoticeable shifts, or the transmission will make a jarring transition into the next gear. Both are signs that your transmission needs attention. If you notice anything other than a smooth transition between gears, then you might need to have your automatic transmission looked at for adjustments or repair. But feeling transmission problems aren’t the only way to use your senses. Go on to the next page to see what sounds you should be listening for as well. The check engine light can be a great early indicator that something is starting to go wrong with your transmission. The check engine light can come on for any number of reasons not related to your gear as well, but don’t overlook this clear warning sign. In newer cars there are sensors throughout the engine that pick up irregularities in the engine and notify the computer that there’s something wrong in a particular area. In the case of transmissions, these sensors can pick up vibrations and early problems that you may not even be able to feel or see. If you want to know if your check engine light is telling you about a transmission problem, you can purchase a diagnostic scan tool that you plug into your car underneath the driver’s side of the instrument panel. The scan tool will display a code that corresponds to the area of the vehicle causing the fault. If the code tells you there’s a transmission problem, well, that’s a good time to see your mechanic.